Today I have just a single polish to show you guys, but it's a doozy. 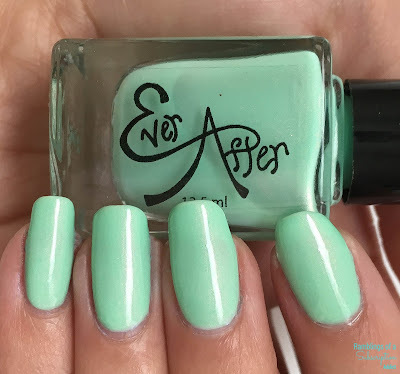 This polish is from Ever After Polish (I have been reviewing their monthly box recently) but I knew I had to grab this polish up as soon as I saw it! 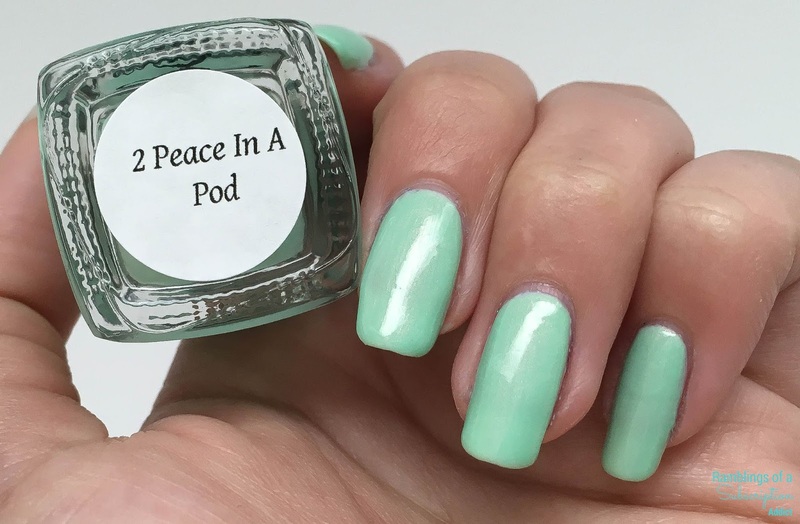 If this polish looks familiar, it might be because this is actually a dupe for YSL's Peace Green. It has never been in stock while I was looking on their website, so I was glad that this was created. This beauty is 2 Peace in a Pod! 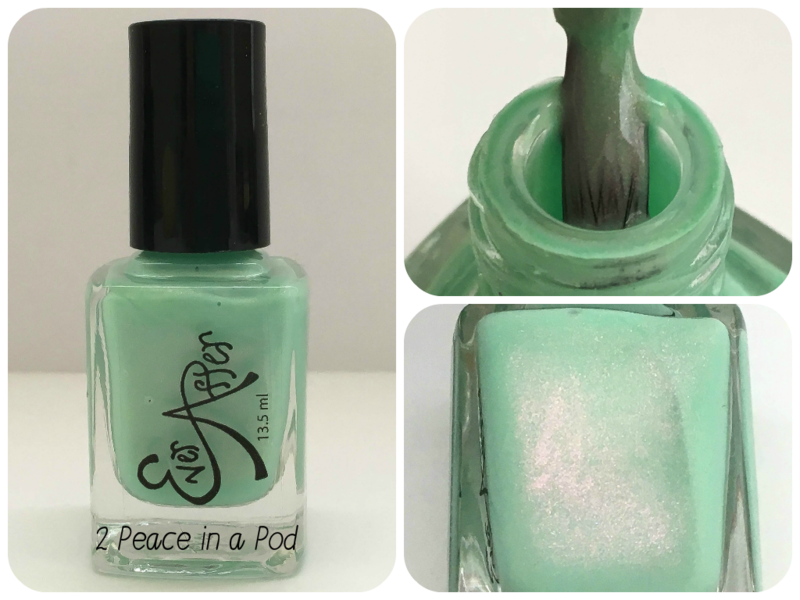 2 Peace in a Pod is a pastel mint green with pink and red/copper shimmer. It does need an undie to make it opaque, or there will be visible nail line. For this manicure, I used OPI's Funny Bunny underneath with three thin coats of 2 Peace in a Pod. Just check out that base, and you can just barely see the shimmer in the above picture. Mint polishes bring me life, so it has become a thing that I buy them when I find them. Under natural lighting, you mostly just see the mint base and the slightest tease of shimmer. Check out the shimmer under direct lighting. 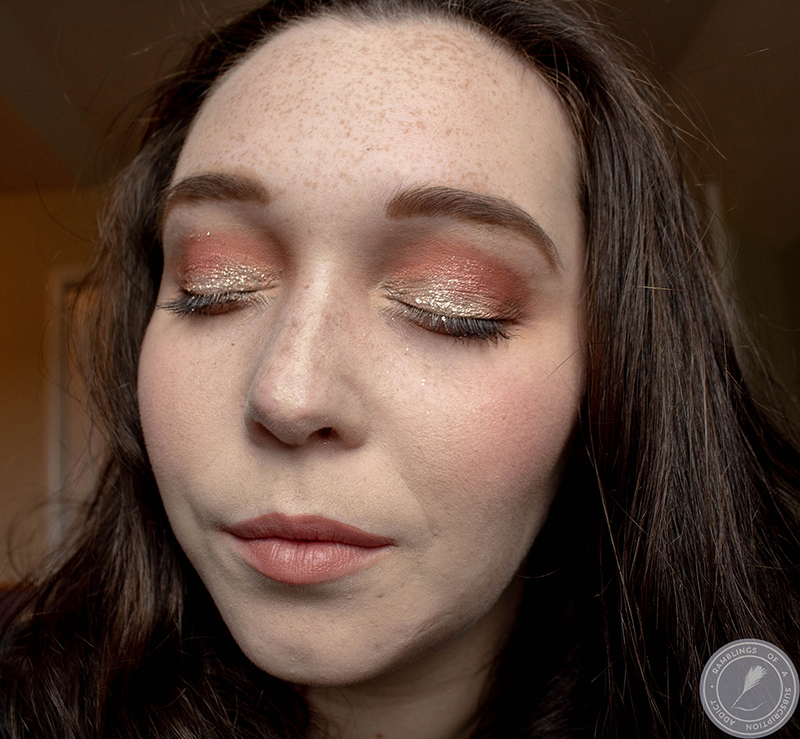 The pink shimmer was practically impossible to pick up with either of my cameras (it's actually barely there in real life), but the copper shines brightly. 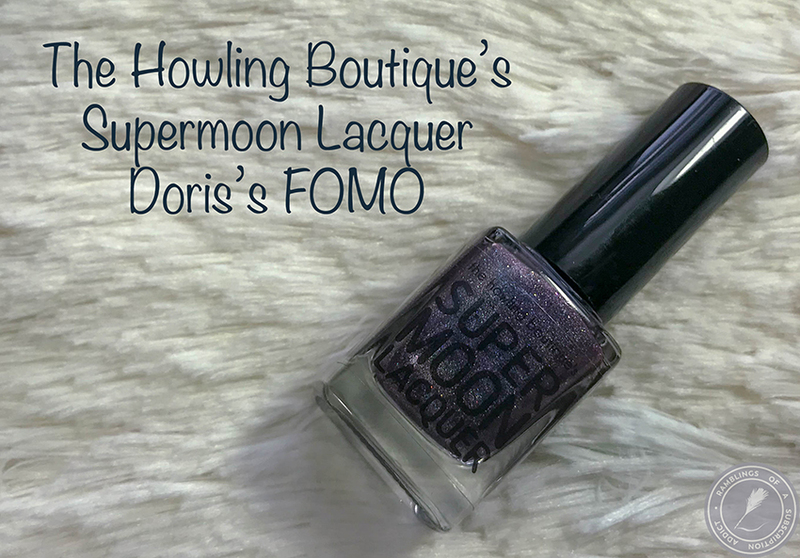 It's such a gorgeous polish and it's not available for much longer! Ever After Polishes are all 5-Free and are all small-batch mixed. 2 Peace in a Pod is $10.50 and is currently available now, so grab it up! 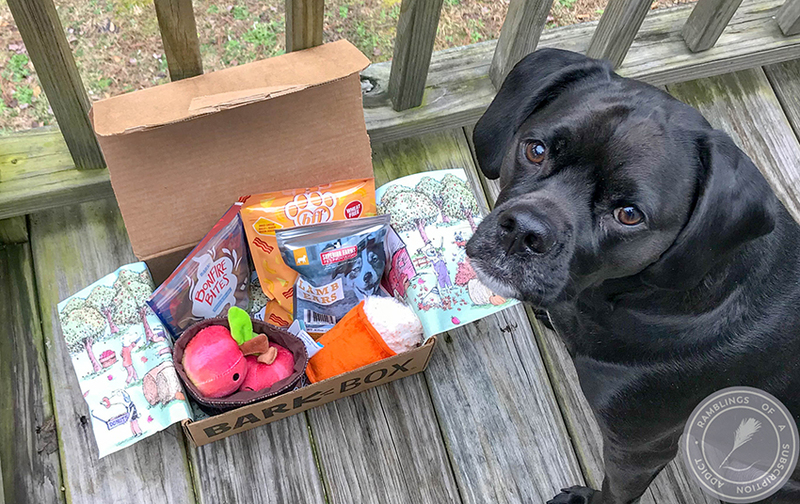 As always, let me know what you thought of this review.